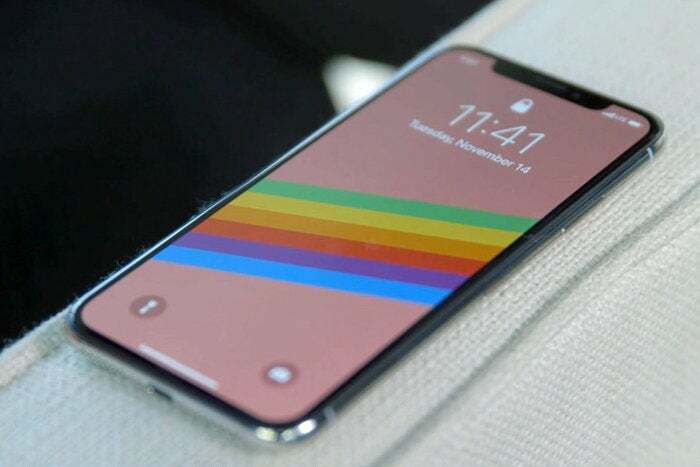 If you love the notch you'll love the iPhone X. The S9+ sticks to the same slim-bezel design as the Galaxy S8+, built around a curved Infinity Display. It's hard to find fault with it. Meanwhile, the iPhone 8 Plus is using an aging design with big bezels and a front-facing fingerprint scanner. However, both phones have nothing on the iPhone X and its all-screen display. Say what you will about the notch, but the uniform bezels around the screen are a thing of beauty. Around the back, all three phones feature glass designs. The S9+ aligns its cameras with the fingerprint sensor down the middle, while Apple has tucked its cameras away in the top right corner. Basically it's a matter of preference: If you want a classic design, pick the iPhone 8; if you want a cutting-edge design, pick the X; and if you hate the notch, go with the S9+. However, specs don't tell the whole story. There's nothing wrong with the display on the iPhone 8 Plus, but it's hardly fresh, having been used in the past four generations of iPhone. The iPhone X's OLED screen is head-and-shoulders above the iPhone 8 Plus's display, with crisp blacks and vivid colors, and I found it to be superior to the S8's in a head-to-head matchup. The S9+ has basically the same screen, but it's a little brighter. The Galaxy S9 uses Qualcomm's latest Snapdragon 845 chip, while the iPhone 8 and 8 Plus both use the A11 Bionic processor. We've yet to see the S9+ in action, but it's likely to perform extremely well. Apple's phones will likely maintain an edge thanks to a tighter end-to-end integration with the OS. While the real-world results aren't quite as lopsided as those numbers would suggest, the Galaxy S9+ (which has the same-sized battery as the S8+) will have a clear advantage in longevity. Apple has accomplished impressive things with relatively small batteries, but it would be nice to see one that tops 3,000mAh in the next models. All three phones include wireless Qi charging, but only the S9+ features fast charging out of the box. On the iPhones you'll need to purchase a separate $49, 29-watt charger if you want to achieve decent charging speeds. The Galaxy S9+ has been upgraded to include stereo speakers, joining the iPhone 8 Plus and iPhone X. It also features support for Dolby Atmos surround sound. However, most people will care more about the headphone jack, which the iPhones famously don't have. The Galaxy S9+ also includes a pair of AKG earbuds in the box, which are superior to the EarPods Apple supplies. The iPhone X has a great camera...and a great camera bump. On paper, the Galaxy S9+ appears to be the sharper shooter, and that's before you include the Dual Aperture feature that lets you switch between f/1.5 and f/2.4 for better low-light shots. Samsung's S9+ also does slow-motion at 960 fps, way slower than Apple's 240 fps. All three cameras let you take portrait shots. Only the S9+ gives you the ability to adjust the background blur after the shot. However, it doesn't included anything to rival the iPhone's Portrait Lighting. 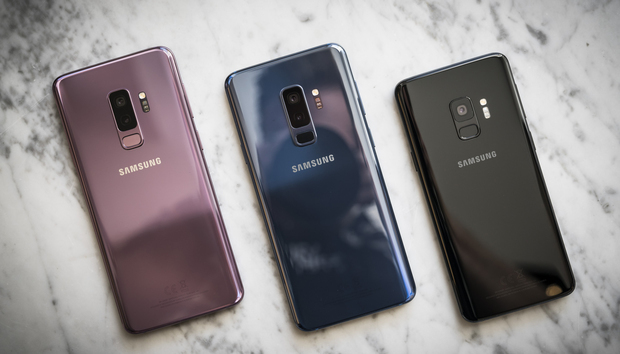 We'll need to put it through its paces before we can crown a champ, but Samsung has put a lot of effort into making the S9+ a world-class camera phone, and it will definitely be on a par with Apple's, if not better. 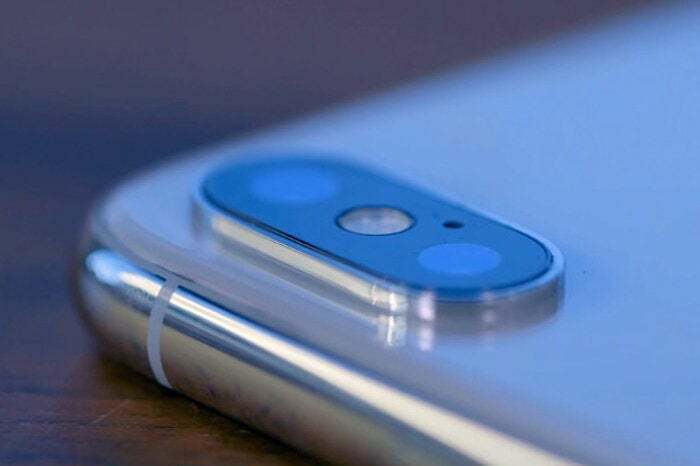 However, Apple's iPhone X offers Face ID in the front camera, which makes a 3D scan of your face for secure unlocking, payments, and password security. Samsung has sort of countered that with what it calls Intelligent Scan, a combination of facial recognition and iris scanning to quickly unlock your S9+. However, it's not secure enough to use for payments, so it's no Face ID competitor. Apple and Samsung take very different approaches with their animated emoji. This is the first spec shootout I've done that has an emoji section, but in the case of these phones it's necessary. The iPhone 8 Plus is out of this contest, so we're pitting the Galaxy S9+'s AR Emoji against the iPhone X's Animoji. It's not really an apples-to-apples comparison, however. 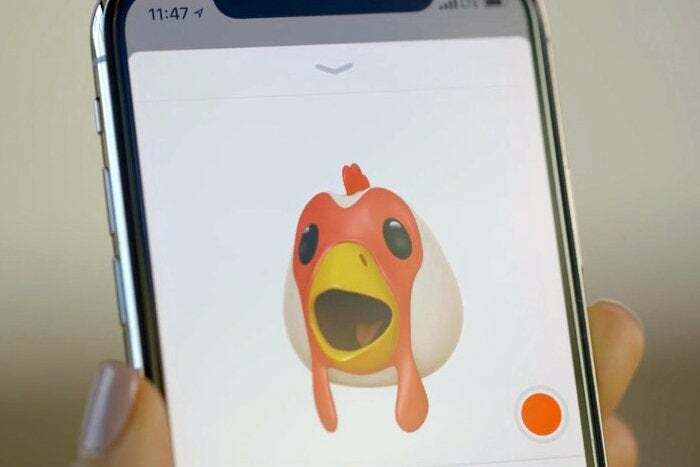 Apple uses its 3D-scanning tech to mimic movements in a handful of unicode emoji, while Samsung is creating animated bitmoji using 2D images and some neat software tricks. Neither is really a game-changing feature, but selfie and sticker fans will likely gravitate toward the S9+'s method over Apple's limited library of cartoon faces. Surprisingly, the iPhone 8 Plus is significantly cheaper than the Galaxy S9+, but none of these phones can be considered a bargain. They're definitely investments, so make sure you consider all of the above categories before deciding which one to buy.